When danger strikes who will come to the rescue? 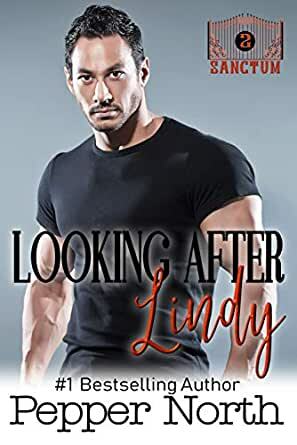 Forced to flee when she is drawn into danger through her brother’s actions, Lindy’s survival depends on a retired police officer with an eye for detecting trouble. Josiah knows instantly that this young woman is his Little girl and he will protect her at any cost. Together, they will make their way to SANCTUM to find safety and security in the developing age play community. But will her past come back to jeopardize their future together? And, what’s in that mysterious package her brother sent to her before he was slain? Josiah brushed back her long, straight hair. His mind noted that it would be light brown when clean. “Sweetheart, can you tell me your name?” he asked trying to gauge her status. He could tell immediately that she was very dehydrated and had been wandering out in the hot sun for a long time–perhaps a couple days–without water. “I’ve got to keep walking. They can still find me,” she croaked hoarsely as if by rote. It appeared she’d been repeating those words to herself for a long time. The young woman’s eyelids fluttered weakly before opening slightly. Her light blue eyes latched on to his face. Immediately, she tried to drag herself away from him into the brush by the side of the road. “Whoa there, Little girl. I’m not going to hurt you. I promise,” He said softly as he easily overpowered her movements, holding her in place. “You promise?” she asked, searching his face with the last of her energy. Pepper North introduces you to a new age play community established by men who practice the lifestyle. Lindy’s story introduces you to the second residents in this community that is isolated from the surrounding world. Here Littles can be Little, and Daddies can take care of their Little ones carefully. As always, Pepper's books feature invasive medical treatments, diaper changes, spankings, and other punishments. If you are offended by age play (adults who choose to live as a Little or a parent of a Little), or dubious consent, this is not the book for you. 5.0 out of 5 starsCan I move to sanctum? I've adored each and every Pepper North book I've read, Looking after Lindy was beyond anything I could of hoped for within this Sanctum series. Lindy and Josiah were everything. This book has profound emotion, it's angsty, sweet, living and addictive. I didn't want to put it down until it was done. Pepper does AP right, it's enjoyable, it keeps you captivated and gives you all the feelings. I smiled, laughed and may of cried a little, what more could I want? Cannot wait to see what comes next from Pepper, the sanctum or the other series. Enough is never enough. Really enjoyed the suspense in this book. It’s a great series about creating/building a like minded private community. I love the magic of 12 series best of all, but I’m a sci fi girl. And dr Richards little series is terrific too. I have not been disappointed with any of Pepper’s work. I laugh, cry, smile and sit on the edge of my seat when the suspense is high. Keep em coming Pepper! WOW, great story line great characters, when Josiah driving to his new home ,he spotted Lindy in the Dirt. Then calling in the Secret Service & having to bring in more security. Can't wait for the next book in the series. This story is perfect. Josiah and Lindy are wonderful characters. This story has really touched my heart. I won't say more. I don't do spoilers lol. The writing and flow of this book is remarkable. I absolutely recommend this book. 5.0 out of 5 starsAn enjoyable read! An enjoyable read. I loved how sweet Josiah was with Lindy. Lindy is running from danger when she meets Josiah. He quickly assesses the situation and grants her sanctuary. A lovely age play read. 5.0 out of 5 starsAnother hit! I loved the suspense in the book. I love the strong Daddy Dom and the way the relationship starts out. I am loving the Sanctum series. I am excited to see more of these books come out.